Pssst! Don't Forget: Pi Day is March 14th! Learn More. This month's Pie of the Month is a first for us and features a handmade frangipane. 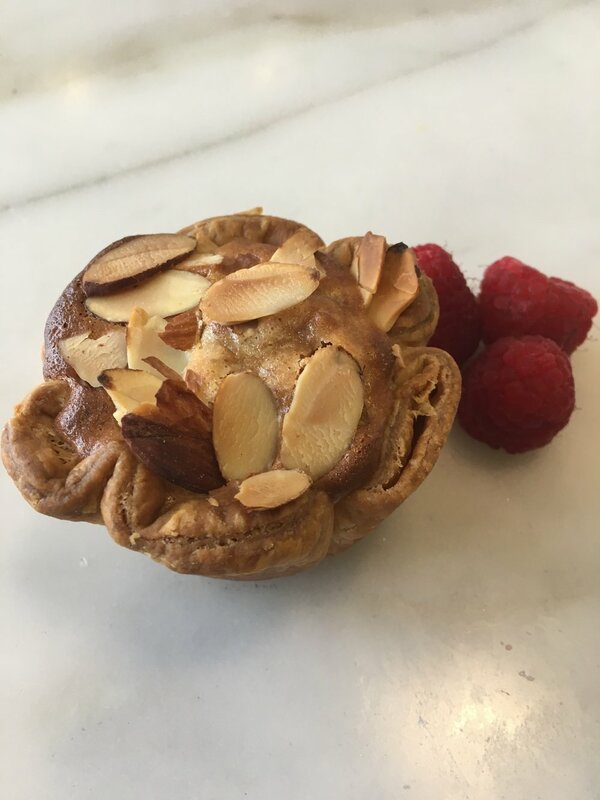 Frangipane is a traditional Italian filling made or flavored with almonds. It balances the tart, fresh raspberries perfectly for a not-to-sweet, but delightful treat any time of day. If savory flavors are more your speed, try out our Farmer's Market Pot Pie, available daily at both locations. Please note: Contents vary based on produce availability. 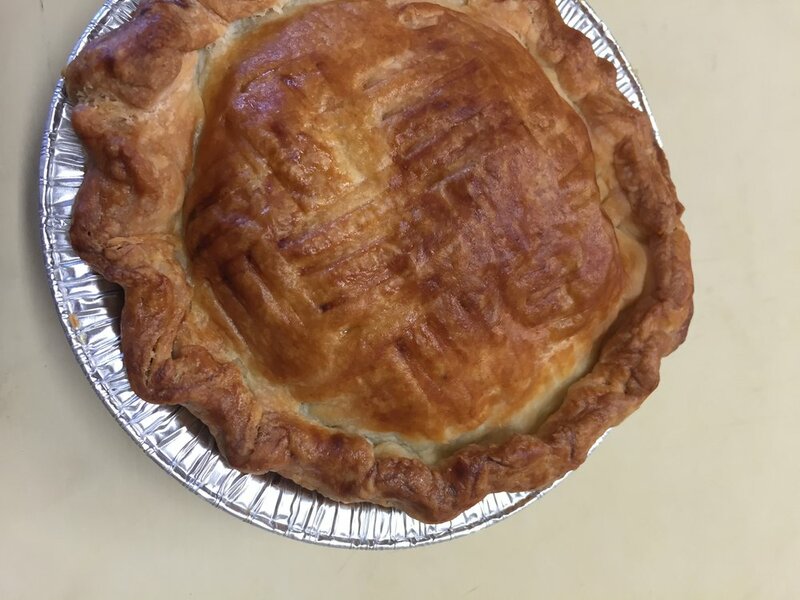 Our Farmer's Market Pot Pie features an assortment of fresh vegetables picked up throughout the week at local markets in the greater Austin area. For example, his one includes butternut squash, white and scarlet turnips, rutabagas, red and orange carrots, Crimini mushrooms, leeks, kale, garlic & herbs. Y-U-M!